Now DJs and mobile entertainers can add the sleek, professional look of trussing to their acts more conveniently than ever before. Global Truss America has introduced the Glow Totem Set, a new all-in-one mobile truss setup that packs down to less than half the size of standard square truss. Consisting of 4 single trussing tubes, a base plate, a top plate and a lycra cover, the Glow Totem Set includes everything needed to create a clean, polished look. When the tubes are assembled and covered with the lycra truss cover, there’s no cross hatching, only a smooth, modern uplighting glow. Add a battery powered ADJ Jelly or Mega GO par to uplight without the hassle of cords. Setting and tearing down the Glow Totem is a snap. Each totem takes only a few minutes to assemble, but holds strong all night. 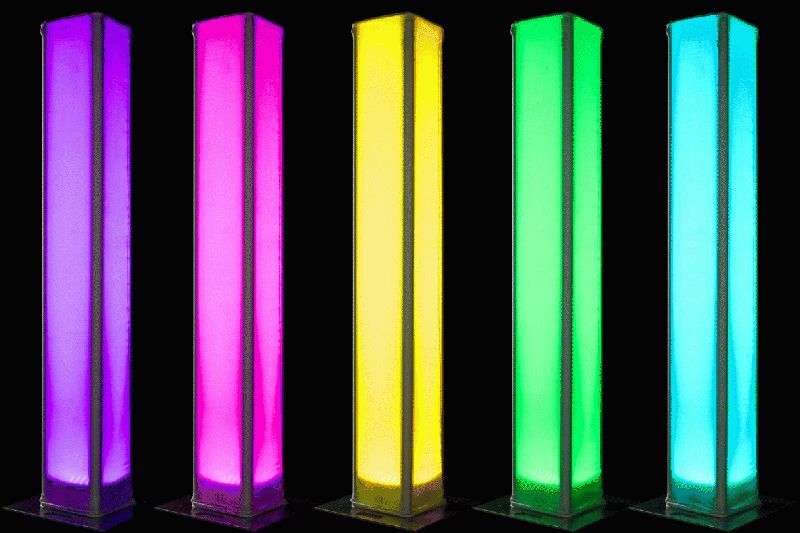 Like all Global Truss America products, the Glow Totem is sturdy and durable; a sound investment for mobile DJs. When it’s time to pack the set away, the trussing will take up less than half the space of a square truss in the same height…which means DJs can easily pack twice as much trussing, instantly expanding their setup possibilities. The F31 single tubes are available in a variety of heights and the base and top plates also come in different sizes, allowing for a wide range of selection. 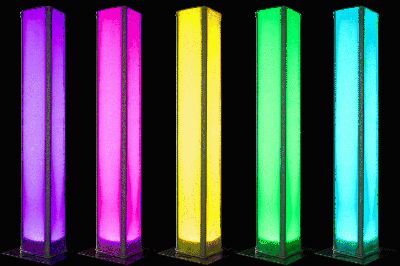 The new Glow Totem set is flexible enough to fit any DJ’s setup and take their look to the next level.